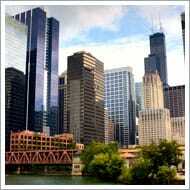 Every sophisticated corporation retains attorneys for advice regarding its operations. Despite this fact, many executives choose to go it alone when negotiating with a corporation, often not retaining a lawyer until it is already too late. 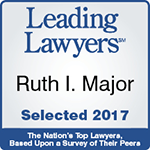 Throughout the Chicagoland area, however, forward-thinking executives rely on Ms. Major for her legal judgment and guidance whether they are negotiating an employment agreement or litigating a dispute. Business executives and professionals alike know they can depend on Ms. Major's extensive experience as a high-stakes employment lawyer to provide them with the legal prudence their situations require. To discuss your matter confidentially with Ms. Major, please contact her office by calling 312-893-7544. You can also schedule a consultation with Ms. Major by contacting her firm online.